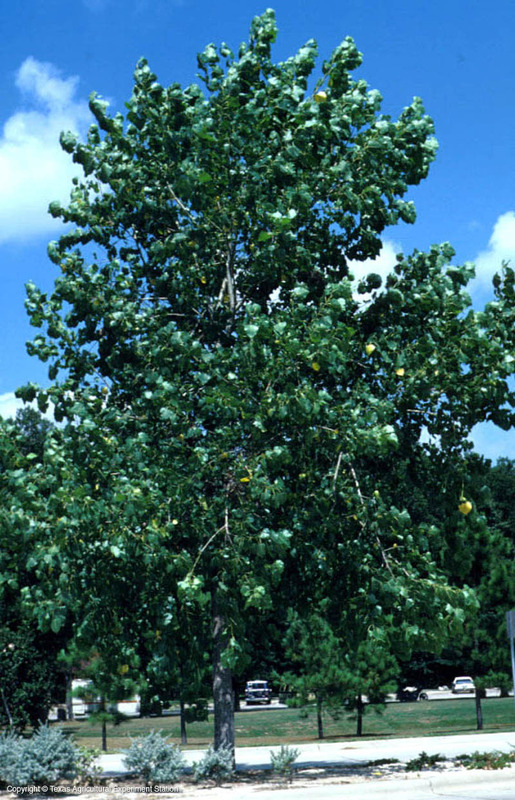 Eastern Cottonwood is a large, fast-growing tree found near water throughout the eastern half of Texas. 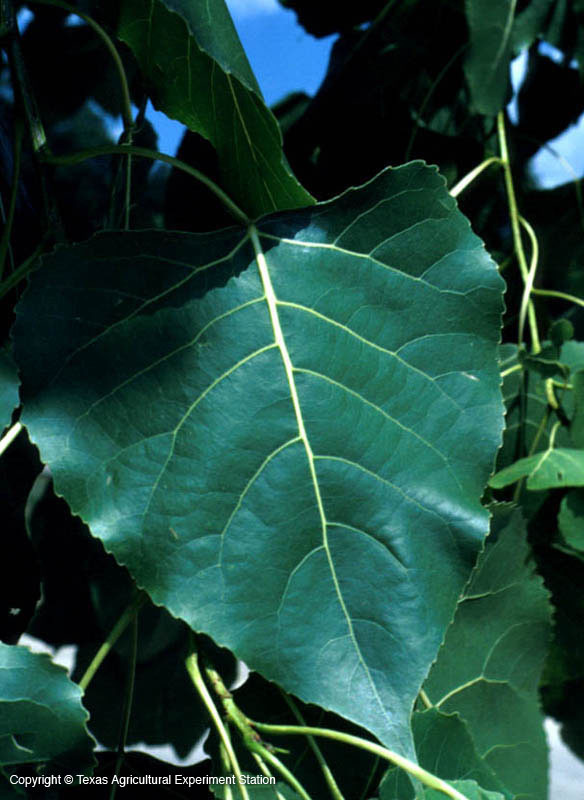 The large deltoid leaves provide light shade, and move in the slightest breeze, creating a soothing, watery sound. The seeds have tiny cottony hairs attached which enable them to drift long distances in the wind toward your air conditioner. 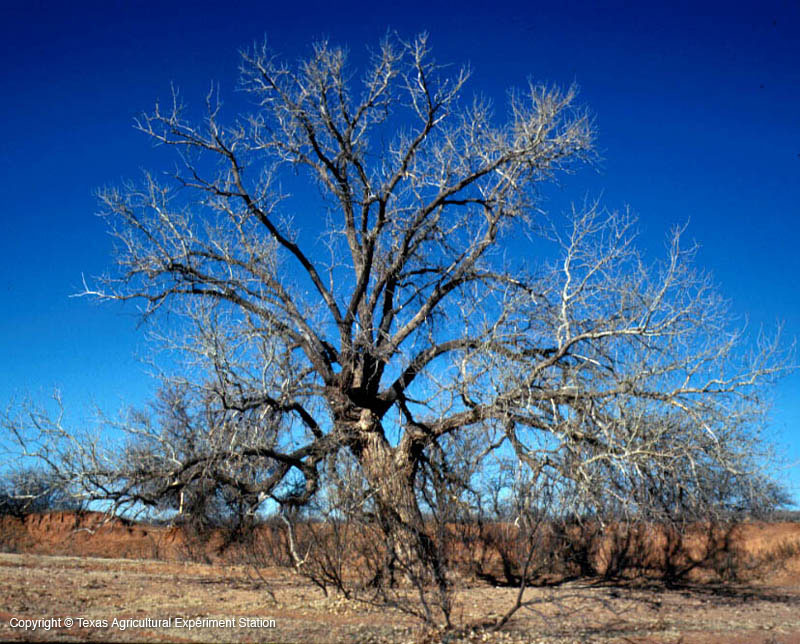 Eastern cottonwood is tolerant of less than perfect drainage and adaptable to any soil type, but does best in sand or sandy loams with available moisture (although it does not do well in areas of constant flooding). Their use as street or landscape trees is limited by their shallow root system, weak wood, messy 'cotton' of female trees and the fact that they are relatively short-lived (30-60 years). Fruit Characteristics: on female trees, capsules that release cottony masses of seeds, hence name of Cottonwood.